2012 $50,000 Grand Prize Winners! SmarTravel is happy to announce that our 2012 Grand Prize drawing has come to an end, and the winner that was chosen has already accepted her prize and is sitting $50,000 richer this year! 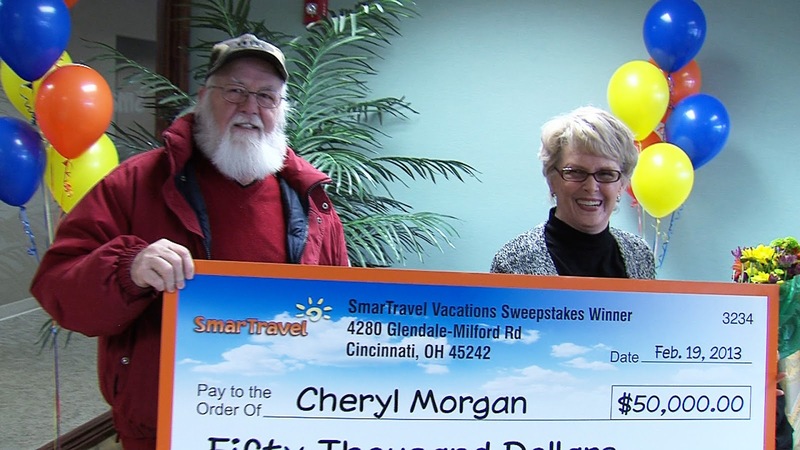 On February 19th, 2013, we welcomed Cheryl & Jim Morgan to our SmarTravel office in Indianapolis to accept their Grand Prize of $50,000 cash! When Cheryl was chosen as our grand prize winner, she had the choice of taking the $50,000 cash or a brand new car valued up to $70,000 MSRP. Cheryl and Jim are retired and residing in Anderson, Indiana. 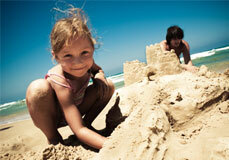 Both of them had entered to win at the Lapel Village fair in July 2012. “It was a great experience to have our SmarTravel staff there to congratulate Cheryl & Jim and to know that anyone who enters has a true chance of being the grand prize winner!” Laura Mann, SmarTravel’s Senior Marketing Manager, noted. Check out the video of Cheryl & Jim and pictures of the two of them as they accept the $50,000 and hear what they have to say about their experience through it all!